A few of the more light-hearted (or light-headed) shots I've taken over the years. I need to do more of this! 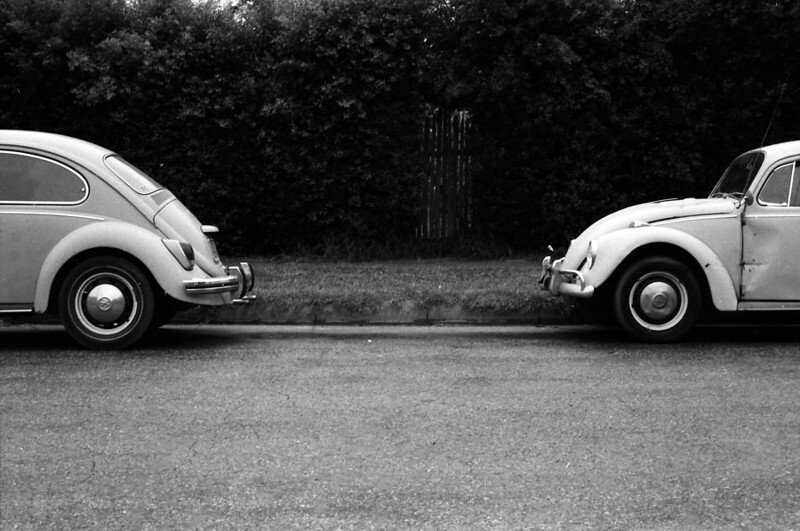 Just having a little fun with two Volkswagen Bugs parked one in front of the other. If I just could've parked mine in front of or behind one of these, I could've had a real series here. Dang! I'll have to keep that in mind, except I don't have a Bug anymore, which will make that a bit problematic.